Exhibiting as part of the Sidel Group - along with Gebo Cermex - Sidel will present market-tailored innovations at ProPak Asia (stand BW01) to help Asian producers react successfully to changing market demands. The 26thedition of ProPak Asia, the leading international trade event for food & beverage, pharmaceutical processing and packaging technology in Asia, will take place from 13th to 16th of June at Bangkok International Trade Exhibition Centre (BITEC). The food and beverage production in the Asia Pacific region continues to record strong growth and will fortify the region’s leading position globally. Urbanisation, income growth, and the sugar tax in combination with the increasing health-consciousness are changing consumer habits. These developments increase the demand for dairy products, the focus on premium products, and support the performance of bottled water and juices due to consumer’s cautiousness about sugar and calorie intake. In this growing and changing market place, Asian manufacturers, co-packers and brand owners need to be able to react flexibly to new demands and opportunities. At the show, leveraging over 40 years of aseptic packaging expertise and 35 years working with PET, the company will place a big focus on its aseptic PET packaging solutions. These include the Aseptic Combi Predis™, the unique aseptic solution with dry preform sterilisation, which has had great success with more than 100 solutions installed worldwide up until now. This clear endorsement of the technology by major beverage and dairy companies coupled with the high level of customer satisfaction are ultimately the best indicators of its values and benefits. This proven solution handles aseptically-filled low and high-acid products in PET bottles, ensuring food safety and product integrity across the supply chain, while offering significant environmental advantages: all of this without compromising on flexibility, ease of operations, and cost-efficiency. As a further testament to its success, Sidel has recently received Food and Drug Administration (FDA) approval for this solution. This regulatory acceptance means that the Sidel aseptic blow fill seal solution is the world’s first aseptic PET filler with dry preform sterilisation, validated for low acid manufacturing and commercial distribution in the United States market. Sidel Super Combi integrates five process steps into one single system: Preforms feeder, blowing, labelling, filling/capping and caps feeder. By encompassing equipment intelligence, it enables continuous production optimisation and enhanced performance. This makes it the ideal solution for maximising water and carbonated soft drinks (CSD) production and increasing line efficiency, while reducing TCO. 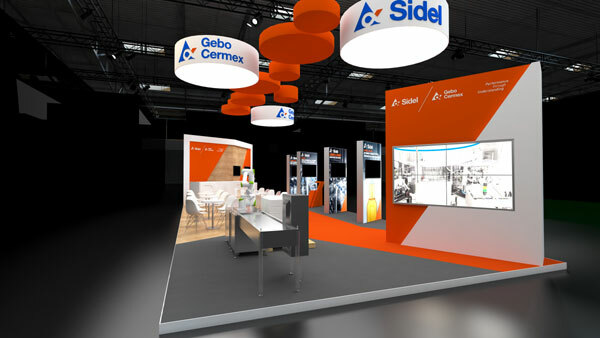 As it has never been more important to stand out from the crowd than in today's competitive food and beverage market, Sidel will also be showcasing their latest advanced achievements in labelling and packaging. Precise application of high-quality labels is a critical component of an excellent brand experience, as this allows manufacturers to differentiate their products, while giving end consumers the information they need. At the same time, a growing variety of beverage types and bottle formats has made labelling increasingly challenging, making flexibility a valuable benefit to beverage producers. For them, top priorities today are faster product and format changeovers, simple operations and optimised processes that use the same equipment for different label types, still ensuring consistent uptime with a more sustainable production. To exactly meet these demands within labelling, the new Sidel EvoDECO solutions, available either as a modular multi-technology or as dedicated-technology equipment, are designed for total flexibility and optimised for unmatched performance. Visitors to the Sidel Group stand at ProPak Asia will discover how EvoDECO labellers give producers the ability to choose solutions based on their specific labelling needs and output levels, without compromising on flexibility, efficiency or sustainability.